For assistance on how to add your POE device to the Amcrest View Pro app, please follow the step by step instructions provided below. Step 1: Connect the camera to the internet, with an Ethernet cable and wait 30 seconds for the camera to start-up and initialize. 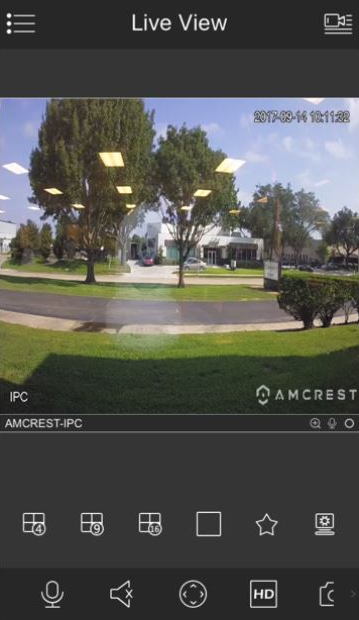 Step 2: Once the camera is connected and powered on please go to the Amcrest View Pro application on your mobile device and open the software. Step 3: Tap on the + icon in the middle of the live view screen to add your POE camera to your application. Step 4: Next, tap on "Add Device" to add the POE device to your application. Step 5: Choose "POE Camera" for the device type. Step 6: Next, we will need to select a connection type. Since we will be setting up a basic P2P connection with the device, tap on "P2P Connection" to establish a connection. Note: For more information on how to setup IP/Domain/DDNS setup, please click here for more information. Step 7: Once you have established a P2P connection in the app, you will need to then scan the QR code for your device. This code can be found on or near the device's serial number tag. NOTE: If the QR code does not scan or you are unable to access it, the application provides you a means to enter your serial number in manually. Tap on "Enter S/N Manually" to enter in the information manually. Step 8: Once the QR code is scanned or the serial number has been added to your app, you will then be prompted to give your camera a name. This name can be unique to your camera and can be named anything you wish. 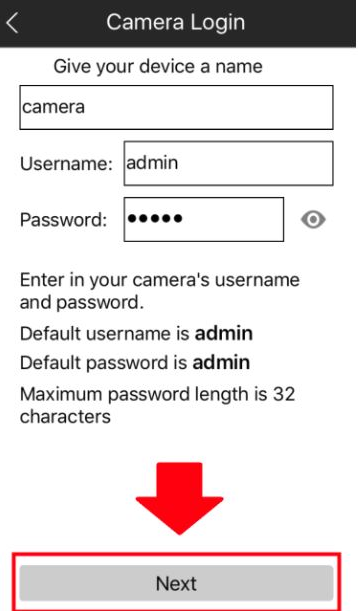 After you name your camera, please enter the camera's username and password. The default username and password is admin. Once this information is entered, please press "Next" to continue. The device will then begin establishing a connection to your network. After a few minutes, the words "Camera Successfully Connected" will appear when the connection can be established. Begin viewing your camera by tapping on "Start Live Preview". Step 9: Amcrest View will prompt you to change the password. Enter a password within the maximum 32 characters in length. After you have entered your new password for your device, please click on "Start Live View" to view the Live View screen. The live stream from your camera will be presented in the Live View screen.